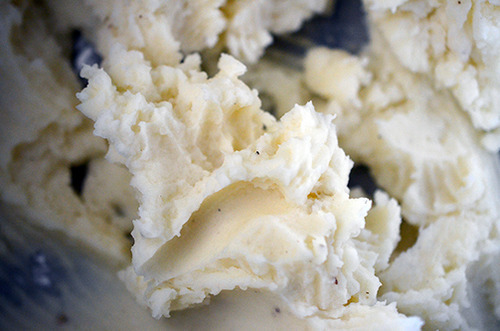 I know, I know: potatoes aren’t “Paleo™.” And neither is white rice, heavy cream, or butter. Prioritize whole, unprocessed, nutrient-rich, nourishing foods. Eat vegetables, grass-fed and pastured meats and eggs, wild-caught seafood, and some fruit, nuts, and seeds. Avoid foods that are likely to be more harmful than healthful. Especially when regularly consumed, certain foods can trigger inflammation, cause digestive problems, or derail our natural metabolic processes, including many grains, improperly cooked legumes, sugar, and highly-processed seed and vegetable oils. Once a baseline of health is established, we can reintroduce some of these foods (like dairy, white potatoes and rice—not processed junk foods) to see where each of us sits on the spectrum of food intolerance. In the beginning, I was briefly Primal (remember my early cheesy phase?) before going strict Paleo. And then, for a couple of years, I pretty much ate according to Whole30® rules, except for some dark chocolate and an occasional restaurant meal. But these days, I find that a bit of white rice and potatoes, along with heavy raw cream in my coffee, agree with me just fine. And I’m not alone. Some think this is absolute heresy, but others of us now see Paleo as a springboard that helps us thoughtfully figure out what works best for our own health—not as a set of inflexible commandments to apply unquestioned. That’s why I appreciate Russ Crandall so much. 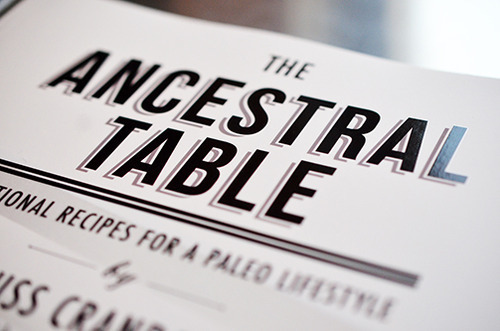 On his blog (The Domestic Man) and in his book (The Ancestral Table), Russ shines a light on traditional recipes for a modern Paleo lifestyle—dishes that thoughtfully re-incorporate rice, potatoes, and full-fat dairy. Some purists may scoff that Russ’ delicious and healthy dishes aren’t really “Paleo™,” but I don’t care. After all, mine aren’t, either. 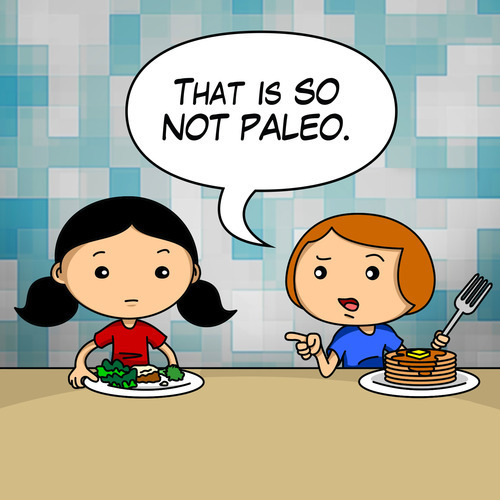 Also, my take on Paleo puts the emphasis on the “Nom Nom” part, and dogma leaves a bad taste in my mouth. Since Russ’s The Ancestral Table was published, it’s been a go-to resource on my overflowing shelves. So the other morning, when Big-O asked me to make shepherd’s pie for dinner, I knew just where to turn. When I woke up in the evening, I popped the pie in the oven and threw together a quick salad to accompany the one-pan dish. Not surprisingly, the meaty casserole was a huge hit, and Big-O insisted on bringing leftovers to school the next day. Nothing makes this mommy happier than discovering crowd-pleasing recipes that can be made with stuff I already have in the kitchen—and it’s even better when my kiddos go bananas (in a good way) at dinnertime. 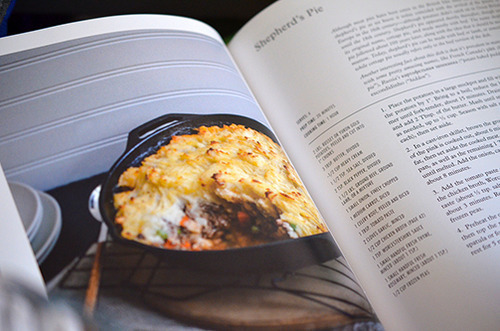 Afterwards, I emailed Russ to gush about his Shepherd’s Pie and to ask if I could share his recipe with my readers. Being the generous guy that he is, Russ obliged. You know how you can thank him? Get yourself a copy of his gorgeous cookbook—and once you cook your way through it, you can thank him again for writing it! 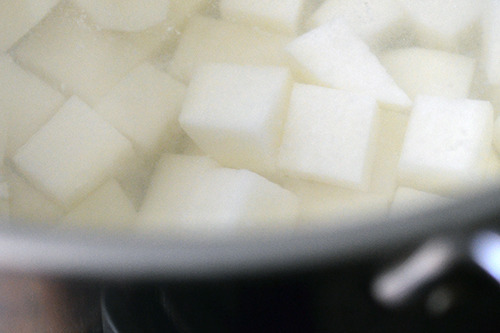 Place the potatoes in a large stockpot and fill with enough water to cover the potatoes by at least one inch. 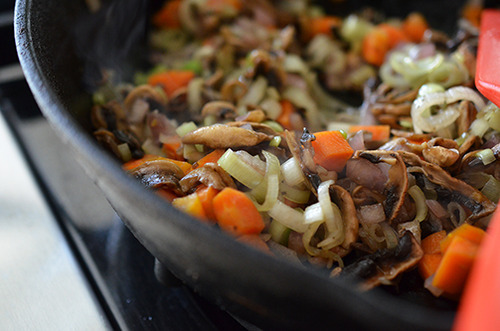 Bring to a boil, reduce the heat to medium and simmer until fork-tender, about 15 minutes. Drain well, then return to the pot and add 2 tablespoons of the butter. 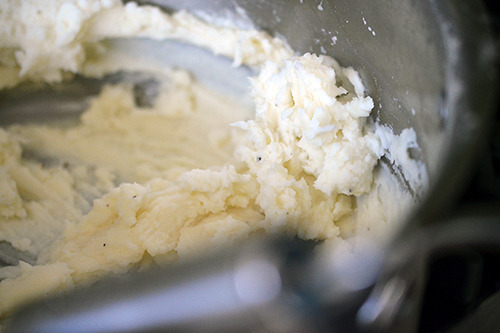 Mash until smooth and firm, adding cream as needed, up to ½ cup. Season with salt and pepper to taste (about 1 teaspoon of each), then set aside. 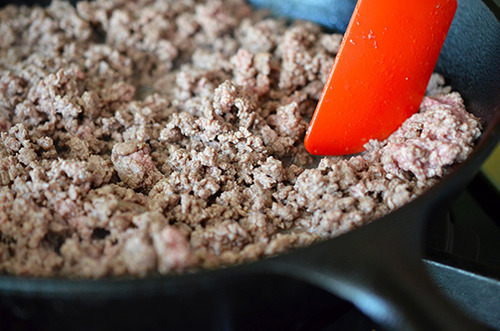 In a cast-iron skillet, brown the ground meat on medium heat until most of the pink is cooked out, about 6 minutes. 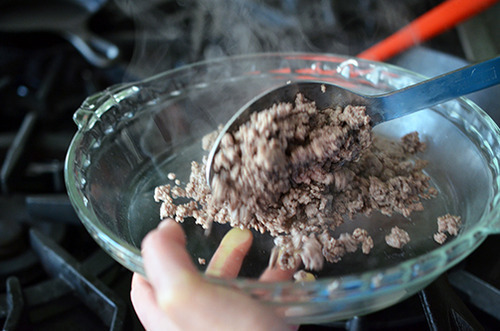 Drain and set aside the rendered fat, then set aside the cooked meat. Return 2 tablespoons of the rendered fat to the pan, as well as the remaining 1 tablespoon of butter and warm on medium heat until melted. 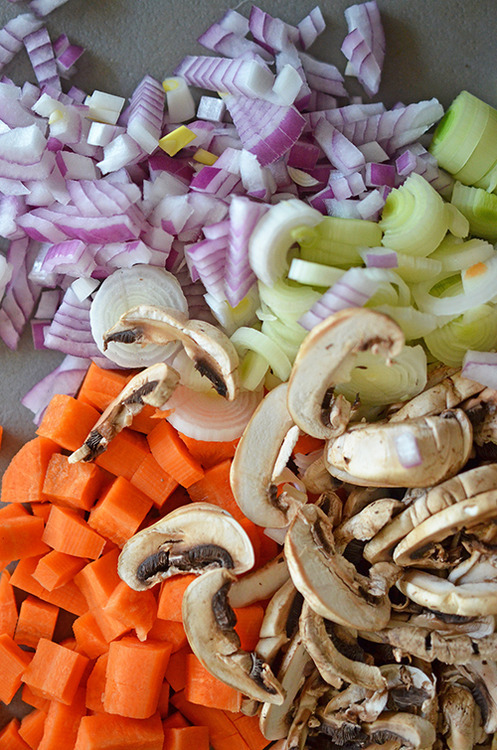 Chop your veggies while you wait for the fat to heat up. Next, stir in the tomato paste and garlic and sauté for another 2 minutes. Pour in the chicken broth, Worcestershire sauce, herbs, and more salt and pepper to taste. Simmer until slightly thickened, about 3 minutes. 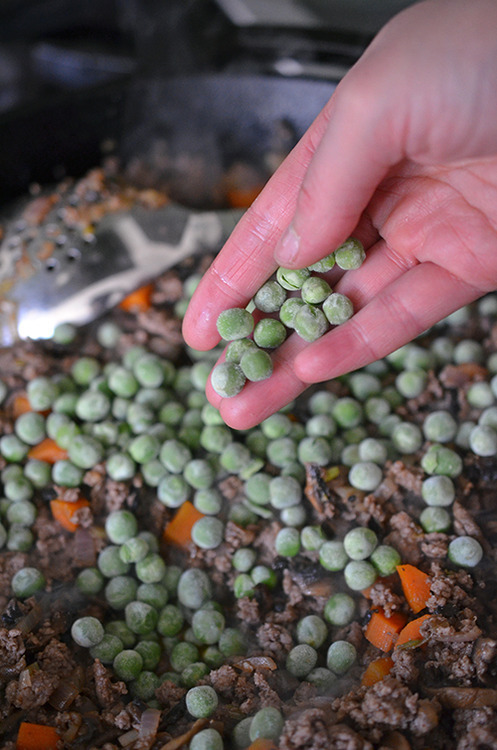 Remove from the heat and mix in the frozen peas. 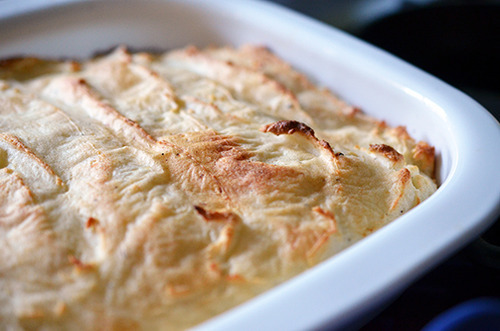 You can cook the pie in the cast iron skillet or transfer the filling to a oven-proof dish. 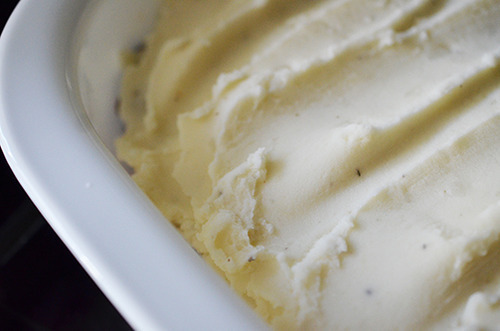 Spread the meat mixture evenly in the pan or dish and top it with gobs of mashed potatoes. 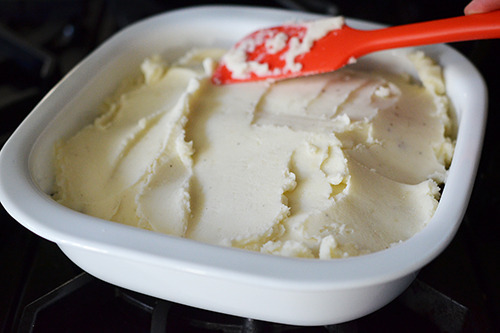 Use a spatula to evenly distribute the mashed potatoes on top. 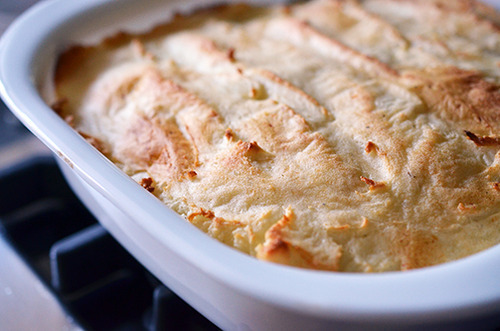 At this point, you can store the casserole in the fridge for up to 2 days or bake it immediately. When you are ready to serve the pie, preheat the oven to 450°F and pop it in the oven for about 30 minutes, or until the potatoes are browned. Rest the pie for about 5 minutes before digging in. Don’t miss Russ’s wonderful creations on his blog, either. He just posted the Easy Roasted Chicken recipe from his book, and it’s all kinds of great. Check him out!